Full Service Design — From rehearsal to opening, bringing light to your theatrical vision. Design on Demand Consultation — Making maximum use of the equipment available, communicating and collaborating with technicians. Scenography — Designing for works in progress and performances in unusual venues. Dr. Johnson was awarded a Proclamation from the City of Berkeley in honor of her contributions to the city, the California State University system, and her work in theater and art. October 30, 2012 was officially called "Stephanie Anne Johnson Day." Other awards include: a Wallace Gerbode Fellowship, a National Endowment for the Arts grant, the Margaret Calder Hayes prize, California State University Research Scholarship and Creative Activity grants, and in collaboration with the City of Berkeley Civic Arts Commission, the UC Berkeley Chancellor's Community Partnerships Fund grant. Dr. Johnson published two articles in The Journal of Pan African Studies (JPAS). She contributed an article to the book The Practice of Public Art. 1974 Bachelor of Fine Arts in Theater - Emerson College, Boston, Mass. Dr. Johnson is a professor in the the Visual and Public Art Department at California State University - Monterey Bay. Her PhD is in Interdisciplinary Studies with a focus on Public Policy. Her dissertation and research is on the Harlem Renaissance and the New Deal. 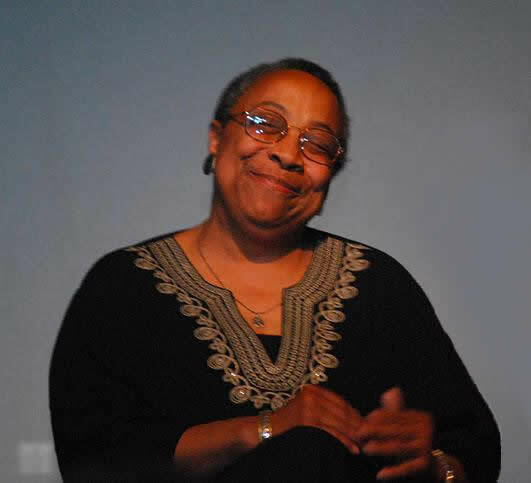 Dr. Johnson served on the City of Berkeley Civic Arts Commission for eight years. Contact Stephanie to arrange a complimentary 30-minute consultation.